One of the well-respected Muslim scholars in the Western world, Shaykh Yahya has spent the best part of two decades studying at some of the most prestigious learning institutions in the Muslim and Western world. Having embraced Islam at the age of 19 in Santa Clara, California, he immediately began his study of the Islamic sciences with Shaykh Hamza Yusuf and visiting Mauritanian scholars, such as Shaykh Khatri Wuld Bayba, and Shaykh Abd Allah Wuld Ahmadna. Shortly thereafter, he traveled to Mauritania to pursue a full-time course of study where he was able to learn from one of Mauritania’s greatest scholars, Murabit al-Hajj. Following an interim period of study in Damascus, Syria, Yahya went on to spend the best part of seven years in Tarim, in the Hadramawt Valley of Yemen. There, he studied at the reputable school, Dar al-Mustafa, with the renowned scholars Habib Umar bin Hafiz and Habib Ali al-Jifri. Since that time, Yahya has been the official translator for Habib Umar and Habib Ali at various international speaking engagements, including the Common Word Conference held at Yale University in 2008. Upon returning to the United States, ShaykhYahya served as a full-time instructor at Zaytuna College. He holds a B.A. in Near Eastern Studies from UC Berkeley, an M.A. in Islamic Studies from the Graduate Theological Union, and is currently pursuing a PhD in Theology and Religious Studies at the University of Cambridge, England, in collaboration with Dr. Tim Winter (Shaykh Abdal Hakim Murad). He is the Founding Director of al-Maqasid. Imam Amin Muhammad is a native of Atlantic City, New Jersey, who has spent more than a decade studying the Islamic sciences with scholars from Egypt, Saudi Arabia, Syria, and Lebanon. 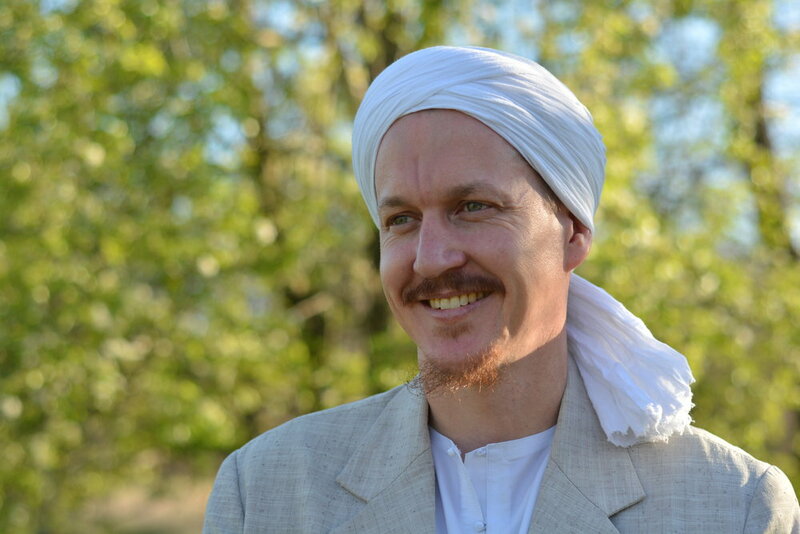 In particular, he has spent extended periods studying with Shaykh Samir al-Nass, Shaykh Salah al-Din al-Idlibi, Shaykh Jamal al-Dhahabi, and Shaykh Walid al-Rifa’i. Presently, Imam Amin lectures weekly on Islamic Theology (Aqida), Islamic Jurisprudence (Fiqh), and Spirituality (Tasawwuf) in various centers of learning in New Jersey, Pennsylvania, and Delaware. He is known for his community involvement at the grass-roots level, serving people far beyond his own community. He continues to be involved in numerous local and national projects, while serving as the Imam of Masjid Muhammad, the oldest mosque in Southern New Jersey. Ustadh Hasan was born and raised north of the border in Montreal, Canada. His pursuit of sacred Islamic knowledge has taken him to two continents to sit at the feet of those who still carry unbroken chains of sacred learning. During his stay in South Africa, Hasan focused primarily on Qur’anic Studies. He subsequently moved to Tarim, Yemen, to study at the prestigious seminary, Dar al-Mustafa. During his time in Tarim, Hasan was able to study a broad curriculum of Islamic sciences, benefiting directly from from Habib Umar bin Hafiz, Habib Muhammad bin Abdullah al-Aydarus, Habib Hashim bin Aqil, Shaykh Umar bin Husayn al-Khatib, and others. He returned from Tarim in 2015 to take up a teaching post at al-Maqasid. Sayyid Abdal Fattah Ba Alawi was born in Mogadishu, Somalia. His ancestors hail from Tarim, in the Hadramawt Valley of Yemen. He began memorizing the Qur’an with his mother at the age of five, committing two-thirds to memory before completing his memorization with Shaykh Abd al-Qadir at the Madrasa of Shaykh Ali Sufi. He subsequently relocated to the land of his ancestors in Tarim, where, for a number of years, he continued his studies at Dar al-Mustafa. As part of his specialization in Quranic Studies, Sayyid Abdal Fattah has numerous formal authorizations (Ijaza) in different modes of Quranic recitation. He has taught Qur’an in many places during his stay in Yemen and the US. He currently lives in Allentown, Pennsylvania, and serves as the Resident Imam and Director of the Qur’anic Studies Program at al-Maqasid. Our mission is to cultivate holistic learning environments rooted in knowledge, devotion, and service by providing full-time, part-time, online, and community programs.